These keto Swedish meatballs are perfect over zoodles, and the sauce alone can be used over just about everything! This recipe is one of my favorites, and I know you and your whole family will love it! 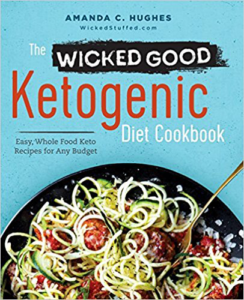 And by the way, this recipe comes from my cookbook, The Wicked Good Ketogenic Diet Cookbook. Preheat oven to 400 degrees F and preheat a slow cooker to low. Line a large baking pan with parchment paper. In a large bowl, combine ground meat, cheddar cheese, egg, onion, water, nutmeg, and allspice. Bake for about 20 minutes or until a thermometer reads 140 degrees F.
Meanwhile, in a small skillet, heat the butter, chicken broth, and heavy cream over medium heat. Once it begins to simmer, reduce the heat to low and let continue simmering for about 20 minutes until it reduces in half (stir frequently, especially toward the end). Stir in the mustard and Worcestershire sauce. Pour the sauce into a slow cooker and add the meatballs when they’re ready. Cook on low for about 2 hours so the meatballs can marinate. Stir every half hour or so, covering all the meatballs, and don’t cook in the slow cooker longer than two hours, or the sauce may start to separate. For another great meatball recipe that is perfect for parties, try my Low Carb Party Meatball Ricotta Bites. Are the macros per serving or for the whole dish..??? Seems very high to me. nebraska1 They are per serving, 3 net carbs for 6 meatballs (they’re pretty big). Carbs come from the onions, dijon mustard and worcestershire. I just re-checked and it’s accurate. If you have poor cheddar cheese it could be higher so I’d seek one that is low or has none. To reduce the count, I would reduce the onions and worcestershire before reducing the dijon but I think 3 is pretty good, it’s very filling! Nutrition appears off a bit. 773 would be the calories for 6 servings not 4. At 4 servings, its well over 1,000 calories! 3 grams of carb is low and 4 is high?? 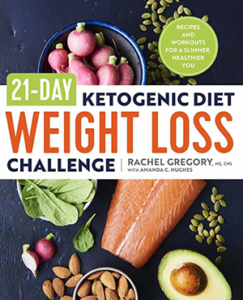 High calorie isn’t good for anyone…even keto. 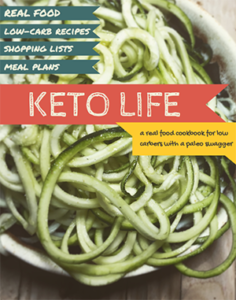 I love keto but it doesn’t mean you get to eat as much as you want. Sorry, didn’t mean to start a debate. Your recipe is great as written! Can you on not to pan cook the mearballs? My oven is broken. HI. Love your recipes and just ordered you cookbook.can’t wait til it gets here. I’m loving cooking in my cast iron skillet. How long / what temp would I cook the dish in my ci skillet? I have a gas stove if that matters. Guess you can tell cooking has never been my thing but I hope to change that! Have you tried freezing these? I’m thinking about making a big batch (minus the sauce) and freezing them to use later for this recipe and others like meatballs and spaghetti squash/zoodles. Thanks! love your blog, funny and so true about using the smaller pan, lol. How long would i cook them in the oven if i dont want to use the crockpot? These are my go to keto swedish meatballs. I literally make them once a week in my meal prep. They are insanely delicious. I use meatloaf mix and prepare them with a zucchini and squash sautee on the side that has tomato,corn, and onion as well. Make them!! What is meatloaf blend? Ty!!! Sometimes grocery stores and butchers will grind up a mix of different ground meats and call it “meatloaf” blend but you can use ground beef, or a mix of ground meats if they don’t have it. I’ve made this twice and my family loves it!! 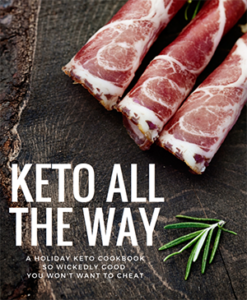 Thank for a great keto friendly recipe.